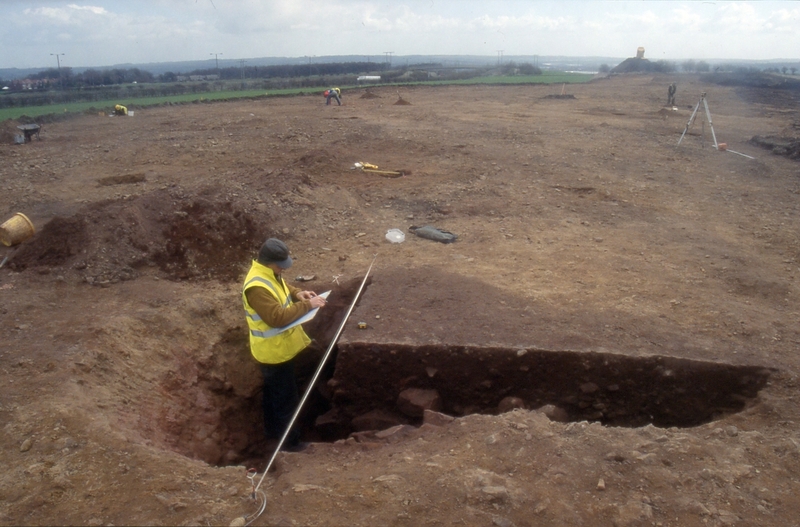 A staged programme of archaeological mitigation was carried out for Persimmon Homes (South Yorkshire) Limited during a small housing development on Roebuck Hill, South Yorkshire, which uncovered exciting new evidence relating to rural life during the latter period of the pre-Roman Iron Age in South Yorkshire. The archaeological remains spanned approximately 9000 years from the Late Mesolithic to the 18th century. 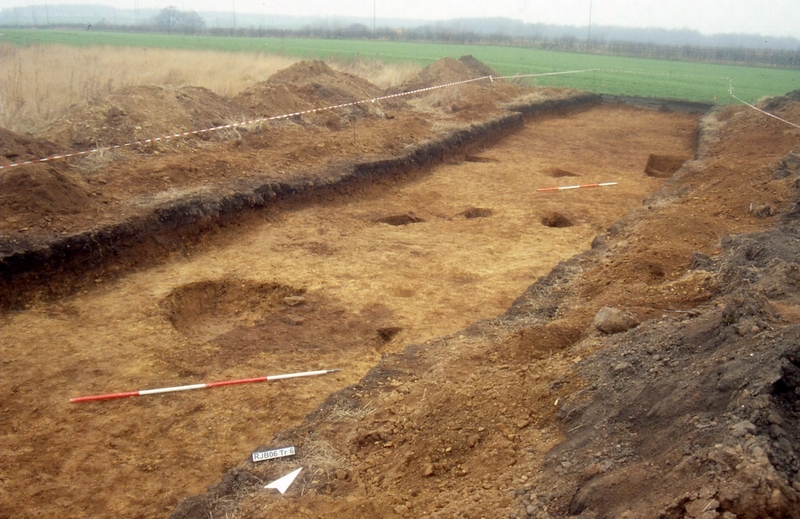 This included evidence of the manufacture of flint tools during the Late Mesolithic, Neolithic and early Bronze Age, as well as the remains of a late Iron Age farmstead, which provided a rare glimpse into the daily life of the rural communities that existed in South Yorkshire during the early period of contact with the Roman Empire. The excavations also revealed that Roebuck Hill was under the plough during the medieval period and later, possibly in the 16th, 17th or 18th centuries, became a focus for small-scale industrial activity. The first stage of the project was an archaeological desk-based assessment, which identified an important landscape of late prehistoric and Romano-British settlement remains in Wombwell Wood, to the north-east of the development area, and a reasonably high potential for unrecorded prehistoric or Romano-British remains to be present within the development area itself. It also suggested that the development area had been farmland since at least the 18th century and that it was set in a landscape whose character had been dominated by fields, isolated farmsteads and a few small villages for hundreds of years. 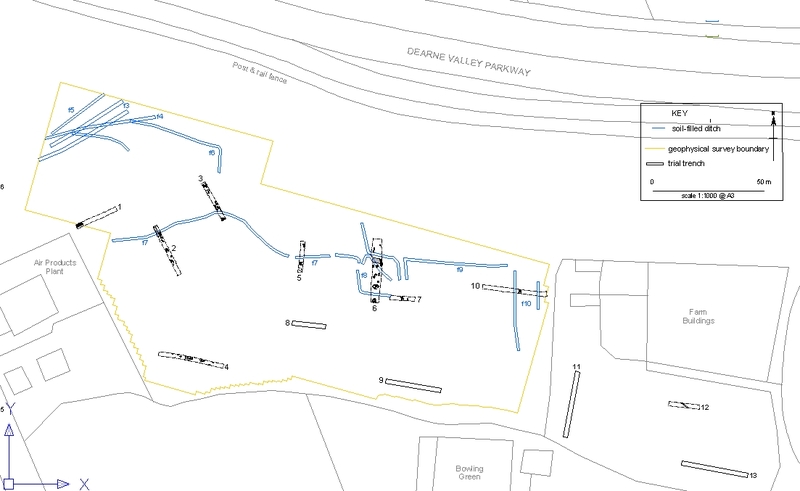 A geophysical survey of the development area identified a number of linear and curvilinear anomalies, some of which may have been of prehistoric date. Thirteen trial trenches were excavated in January and February of 2006, which confirmed that these related to a well-preserved prehistoric site comprised of a small enclosure surrounded by fields with an undated industrial area located in the area of Trench 1. The site was further investigated through a combination of open-area excavation and archaeological monitoring. 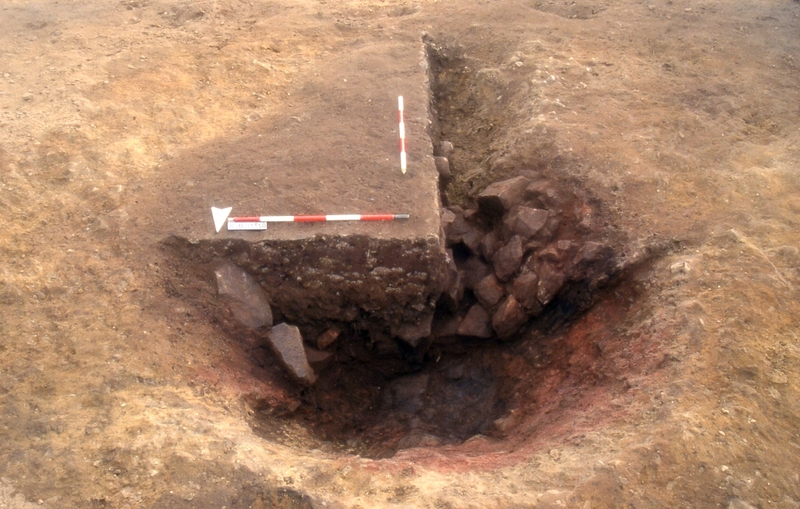 "The excavation and analysis undertaken at Roebuck Hill have contributed new information that has helped improve our understanding of late Iron Age settlement within the South Yorkshire coalfields"
The earliest activity on the site was represented by a scatter of worked flints in and around a natural hollow towards the south-eastern end of the site. The scatter included items dated to the Late Mesolithic and was probably related to flint knapping waste accumulated from a series of temporary occupation camps. The presence of Neolithic and Bronze Age material within the scatter indicated that prehistoric communities were being attracted to Roebuck Hill over a period of several thousand years. A small farmstead was later established within this same sheltered hollow. The earliest phase of settlement appeared to be an unenclosed roundhouse, the only remains of which was an arc of post-holes. This roundhouse was then replaced in the late pre-Roman Iron Age by a phase of settlement comprising a small enclosure that contained a rectangular building. 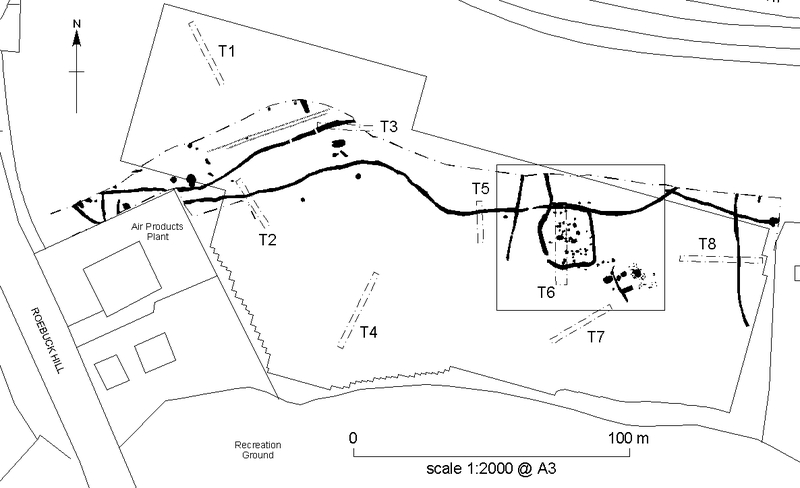 It is unclear exactly when or why the settlement was abandoned, but it is possible that the buildings were deliberately dismantled, and the site levelled, during the early period of Roman contact. The evidence suggests that from then the area remained in agricultural production for over a thousand years until the post-medieval period, at which point industrial activity increased. Evidence recorded during the excavation included a kiln that was probably linked to the processing of iron ore.
Post-excavation analysis confirmed that the settlement at Roebuck Hill was probably a small farmstead that was possibly constructed within a largely open landscape. The settlement may have been open at first, with a post-built roundhouse, but was later enclosed by a ditch and possibly a bank. The enclosed settlement may have had a rectangular dwelling, and the artefactual and environmental evidence indicates that the inhabitants were probably engaged in small-scale industrial activities, including manufacturing loom weights, weaving, repairing or finishing objects upon a stone 'workbench', and the processing of crops, mainly barley, alongside a little wheat. Waste in the form of burnt stone was prevalent in the backfilled deposits of many features, and some contained charcoal-rich deposits and burnt oak plank fragments that probably derived from the destruction of one or more structures by fire. While the settlement appears to have been relatively poor and lacked finer goods when compared to some previously excavated sites in Nottinghamshire, the inhabitants of the farm invested in a well-made but locally produced beehive quern. Evidence of possible ritual or ceremonial practices were recorded in the form of heated and broken quern fragments recovered from three features and possible ‘structured deposition’ within a pit. These practices have parallels with similar deposition at other similarly dated settlement sites, which have been tenuously linked to abandonment rituals. The excavation and analysis undertaken at Roebuck Hill have contributed new information that has helped improve our understanding of late Iron Age settlement within the South Yorkshire coalfields; an area that is at present largely an unknown entity.